PoolCar is a suite of mobility solutions for organizations with shared vehicles who are challenged with low utilization and under pressure to reduce fleet size and budget. Our integrated sharing economy technologies can help you reduce your fleet size by at least 10%, resulting in significant cost savings. 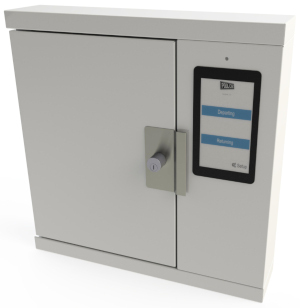 Over 566,338 key movements is testament to five years of R&D and continuous refinement to deliver a low-cost, high value-add electronic key cabinet solution. Prompt drivers for data on Check-In, such as parking location, fuel level and if maintenance is needed. Automatically cancel no show bookings and alert administrators to overdue bookings when keys are not returned on time. Thanks to the integrated pin-hole security camera, there is no dispute when the speeding ticket arrives! Learn more or watch a video. After three years of R&D, our in-house designed vehicle keyless entry product is now available for small volume pilot sites. Lock and unlock cars with just a smartphone or RFID/proximity card using the latest IoT techologies. Contact Us to express interest in our pilot program. Learn more.. Copyright Smartrak Aust. Pty. Ltd.